Have you seen all of the advertisements for dog subscription boxes? 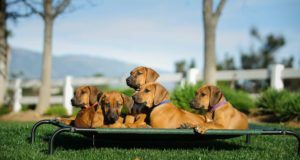 This trend has leaked into the pet industry, and companies have quickly produced subscription boxes for every type and size of dog out there. The Shaggy Swag dog subscription box offers products that every dog and dog owner can use. 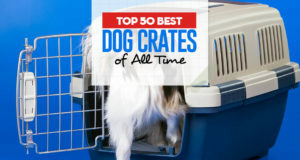 There are dozens of subscription boxes for dogs to choose from. 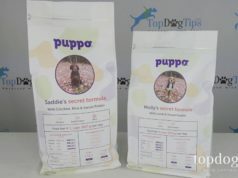 You need to research the options available and select a box that offers products relevant to your pup's needs. Consider his size, chewing type, allergy issues and food sensitivities. Will the box that you're considering meet all of his needs? The products I'm showing in this review are just a sample of what you can expect inside the Shaggy Swag Dog Subscription Box. You'll get unique products every month. I'll let you know what customization options are available later in this review and give you the information you need to decide if this box is a good value for the money. Every Shaggy Swag Box includes 2 or more toys, 2 or more bags of treats, a fashion accessory and poop bags. The value of the products in each box is at least $80! This company says they live by the “3 C's” – convenience, comfort and connection – and they add an element of each into every Shaggy Swag Box. They say that you can expect to receive 2-3 products of convenience items, like a package of grooming wipes and dog poop bags. Comfort items can include treats and dog toys, and the connection piece will be focused on helping you build a stronger bond with your canine companion. Some subscription boxes offer the option of being delivered monthly, bi-monthly or every month. This one is delivered monthly, and you can cancel your subscription anytime without paying a penalty. You can customize the products included in your Shaggy Swag Box based on your dog's size, breed, allergies and chewing preferences. The company also their Shaggy Shredders box for power chewers and Shaggy Style box for fashion lovers. You can sign up for Shaggy Swag on CrateJoy for a month-to-month plan of $25 per month. Remember, your subscription will auto-renew. You can also sign up for a 3 month pre-pay plan for $66, which would be $22 per box. The Shaggy Shredder Box is $36 per month or $105 for the 3 month pre-pay option. The Shaggy Style Box is $40 per month and $115 for the 3 month pre-pay option. Keeping in mind that you'll receive at least $80 worth of products in every box, this is a good value for the money. If you're interested in receiving a variety of pet products each month, this box is a good option. If you're only interested in toys and/or treats, another brand would be a better fit for your pup.